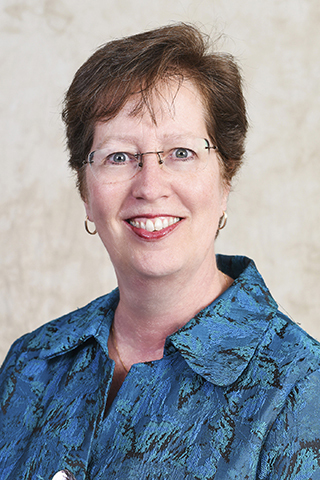 Zerwic succeeds Rita Frantz, who served as dean of the College of Nursing from July 2007 to September 2016. Frantz died of cancer shortly after she retired. Zerwic will be the eighth dean of the College of Nursing, which opened in 1949. During her tenure as nursing associate dean at UIC, a role she has held since 2009, Zerwic implemented a strategic plan aimed at improving diversity among faculty, staff, and students and stabilized college finances by tapping into new funding sources, including alumni fundraising. She also created a federally funded collaboration between UIC and City Colleges of Chicago to provide minority community college students with research opportunities on the university campus. She has served on the board of directors of the Erie Family Health Center in Chicago for a decade. Zerwic served as department head of the UIC Department of Biobehavioral Science from 2005 to 2009. She has been a member of UIC’s faculty since 1993 and was named a fellow of the American Academy of Nursing in 2008. Zerwic’s research focus is on factors that contribute to patients delaying treatment for acute coronary syndrome and stroke. Zerwic was one of four finalists who interviewed on the UI campus in April and May. The search for a new dean was led by a search committee co-chaired by Donald Letendre, dean of the College of Pharmacy, and Ann Marie McCarthy, associate dean for research in the College of Nursing. Zerwic, who is originally from Green Bay, Wisconsin, earned a Bachelor of Science in nursing from the University of Wisconsin–Eau Claire, a Master of Science from the University of Wisconsin–Madison, and a PhD from the University of Minnesota. She completed a postdoctoral fellowship at the University of Rochester before joining the faculty at UIC. Zerwic will receive an annual salary of $273,889. Her appointment must be approved by the Board of Regents, State of Iowa.